If you are looking for a Ludlow Sports Massage you are in the right place. My name is Jan Crate and I run Equilibrium Mobile Sports Massage. I first became interested in Sports Massage through my Mother who had a frozen shoulder. I would ask endless questions of her massage therapist as to how and why he used various techniques. It was he and my mother who encouraged me to go and study and become a sports massage therapist in my own right. I attended Hereford & Ludlow College for two years where I first obtained my Diploma in Anatomy & Physiology then going on to complete a Diploma Level 3 in Sports Massage Therapy. I am a fully insured and a full member of the Foundation Of Holistic Therapists. I am available from February 18th 2019 at my treatment room in the Mayfair Community Centre, Church Stretton Twice a week on Mondays and Fridays, as well as offering my popular mobile sports massage service in and around Shropshire at times to suit you. This year I will be continuing my training in Myofascial Release at the Exeter School of Bodywork. My sports massage can be of benefit to everyone, not just the sports players or athletes, it can offer much help and relief for those who have a desk job or a job where there is a lot of sitting around. It can also help with builders or gardener’s aches and pains as it keeps joints and muscles supple and can help to prevent injury. I believe that each treatment should be tailored to each client’s specific needs, so they feel listened to, understood and in safe hands, as we begin their treatment journey together. “I asked Jan for help when the backs of my knees were feeling tight and slightly painful. Not only did he employ great techniques to loosen the muscles and tendons around my knees, but he gave me excellent advice as to the cause of my problems, and how to effectively prevent a reoccurrence of the injury. Since his treatment, I have been doing a set of stretches that work on my legs to prevent tightness, but if I encounter any other problems I wouldn’t hesitate to ask for his help again. 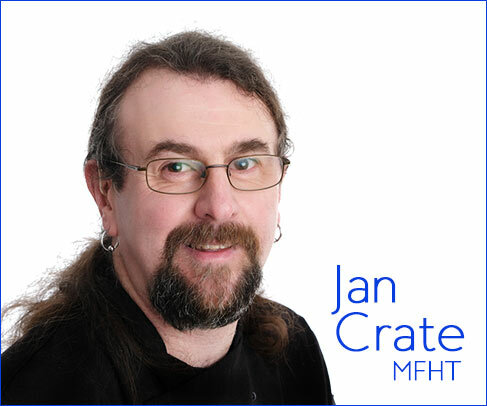 I went to Jan for help with my extremely tight back and shoulders which I believe has been caused by long days at a desk, stress and losing the habit of regular exercise. The stiffness had built up to a point where it was starting to interfere with my sleep and adding to my feelings of tension. My upper body felt much more fluid after treatment and I was able to relax my shoulders down for the first time in ages. I also felt generally more relaxed and calmer. Jan’s treatment has been excellent and helped in more ways than I had hoped. Thoroughly recommended.